A successful ICO and rollout of the KODAKCoin could be a boom to KODK shareholders and the cryptocurrency market as a whole. Miami, FL – May 14, 2018 (EmergingGrowth.com NewsWire) — EmergingGrowth.com, a leading independent small cap media portal with an extensive history of providing unparalleled content for the Emerging Growth markets and companies, reports on Eastman Kodak Corp. (NYSE: KODK). Eastman Kodak Corp. (KODK) has been struggling with its identity for some time. They had a chance to reinvent themselves with the digital camera they invented in 1975 but let others pass them by. Instead of embracing new technology, the company held back for fear of hurting its own lucrative film business, even well after digital products were reshaping the market. KODK seems to have learned from its past transgressions and is now very focused on utilizing the blockchain solutions to expand its image business. In the past, the company had the nearsighted view that it was in the film business instead of the memories business, and it believed that it could protect its massive share of the film business with its massive marketing machine. Sony and Canon saw an opening and charged ahead with their digital cameras. When Kodak decided to get in the game it was too late. The company saw its market share plummet, as digital imaging became dominant. With KODK’s recent foray into blockchain they are trying to reinvent themselves before the market passes them by… again! KODK reported earningson May 9, 2018 that amounted to a net loss of $25 million for the first quarter. Sales were flat year over year. KODK’s results can be consolidated into 3 buckets of revenue. Growth Enginesinclude SONORA, PROSPER, FLEXCEL NX, Software and Solutions and Brand Licensingand advanced technologies. Strategic Other Businessesinclude plates, CTP and Service in PSD, Nexpresss and related Toner Business in PSD, other packaging products in FPD, Entertainment & Commercial Film in CFD, Eastman Business Park and IP Licensing. Planned Declining Businessesare product lines where the decision has been made to stop new product development, and to manage an order expected decline in the installed product and annuity base. These product families include Consumer Inkjet in CFD, Versamark in EISD and Digimaster in PSD. The area that management chose to focus on during the recent earning conference call was growth engines with their imaging technology. In the slide above, 30% is circled and that is what they focused on. One of the highlights of the call came from CEO, Jeff Clarke who said “brand licensing is a very high profitable business. Brand licensing has very low cost and is a royalty-based business. We mentioned that it has a $10 million run rate at this stage and you should think of the incremental margins on that being very high. There is a small group that manages that portfolio and seeks new brand licensees but it’s over an 80% yield on the royalties there.” KODK has excellent margins on their brand licensing so the significance of their deal with WENN Digital and the KODAKOneplatform was severely understated on the conference call which means they are either scared of the SEC or don’t understand the vision their partner. KODK released 8 blockchain relatedpress releases since the beginning of the year. Regardless of the reason for not talking about their blockchain solutions, there are many more reasons for investigating its potential and how it might ultimately impact KODK stock price. They are not alone in corporate America where key decisions can make or break the longevity of your company. Recently announced toy company Toy’s R Us will be closing 800 stores. Gary Vaynerchuk’s recent Facebook video titled ‘Innovate or Die’ speaks of how the company failed in multiple areas. The main issue, besides failure to innovate, was Toys R’ Us outsourced their fulfillment to Amazon (NASDAQ: AMZN) in the early 2000’s, as they simply neglected the web. Instead of ordering toys online through their website, making it a Toys R’ Us experience, it was all done through Amazon, helping them become the giant that they are. Another household named company, Sears Holdings Corp. (NASDAQ: SHLD) was a pioneer in catalogue style shopping for decades. Sears, founded in 1887 was the first mail order catalogue company, yet like others, failed to innovate and convert catalogue shopping to internet shopping, just as Kodak couldn’t shift from film to digital. The over century year old company is making plans to revitalize the company through its licensing agreement with its blockchain partner WENN Digital which is developing blockchain solutions. The Kodak brand still has tremendous intrinsic value and should be able to leverage their name to entice content producers and photographers onto their new platform. The Kodak brandis visible on many consumer products like batteries, chargers, binoculars, digital cameras, inkjet paper, eyeglass lenses, video monitors, and even mobile phones. The first blockchain solution they unveiled to the marketplace is the KODAKOneplatform which attempts to use the blockchain to manage image rights management. The concept behind the platform is that photographers will be able to register and effectively license images through the platform. The platform plans on using KODAKCoincryptocurrency to fuel the transactions on this platform. Their plan involves storing all the images on the blockchain. As the internet has evolved so has the image marketplace. In the early days of the internet images were copied freely but now watermarks and frames are used in an attempt to stem the spread of unauthorized used. 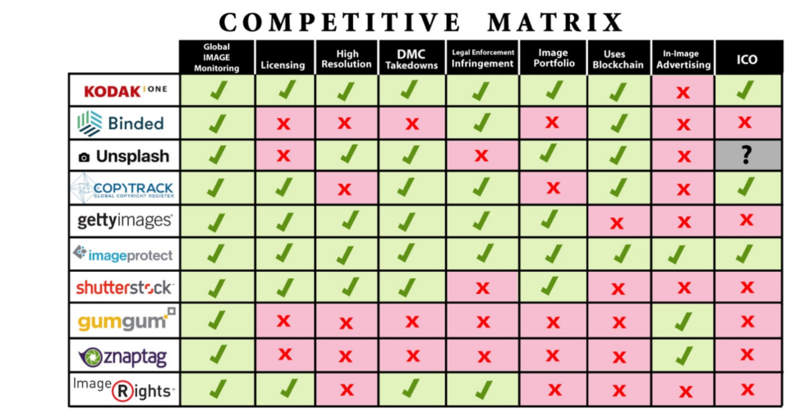 Image Protect Inc. (IMTL) has developed a great graphic that shows the different subsets of the market. Right now KODK is only going after the content creators specifically targetting photographers and trying to leverage their brand recognition. There are dozens of companies that offer digital assets managementof a company’s media portfolio so that marketing teams have standardized material to choose from. Some of the features include user base permissions to marketing materials, AI tagging of pictures, tracking of downloads, and photo organization. Some key companies are Marcom Central, Webdam, Canto Digital Asset Management, Bynder, Airtable, IntelligenceBank DAM, and Brandfolder. Companies with a smaller foot print that are image centric can protect their images by tagging the images before uploading to the internet. IMATAGboasts an invisible watermark that protects photos from copyright infringement. Since inception Google has gotten over 3.43 billiontake down requests. Copyright protection and enforcement was difficult enough without the internet — the online world has made it that even harder. Consistent with this ignorance of the law, unauthorized (and illegal) file-sharing and use of copyrighted content (especially images) has remained a significant problem. This problem may have finally found its digital match with the use of blockchain technology. Using online images as an example — one of the biggest problems for rights holders (i.e., photographers) who place their images online is policing the use of such images. Unfortunately it’s a common practice to take images found online and using them in the creation of a website or in marketing materials without first asking permission from the copyright holder. The issue isn’t regarding images in the public domain, but rather to images that were taken by photographers and uploaded onto their websites, or otherwise provided to third-party websites by the copyright holder under license. Under U.S. law, copyright holders enjoy exclusive rights to their original works of authorship that are fixed in a tangible medium of expression. See 17 U.S.C. Section 106. Assuming no valid defenses (such as fair use), commercial use of such copyrighted works without a license usually constitutes copyright infringement. Here is where blockchain just may come to the rescue. For photographers, platforms are popping up to provide mechanisms whereby their images can be uploaded to a blockchain to provide not only authentication for ownership, but a means to police unauthorized use. For example, Bindedtouts itself as “the world’s first copyright platform” for blockchain, creating “a unique fingerprint (also known as a cryptographic hash) for each copyright record… [that] contains the image file as well as the copyright owner’s name and email.” By uploading a batch of these to the blockchain daily, Bindedis creating a secure chain of immutable records. With a digital fingerprint at its fingertips, copyright owners can then digitally police online sites, including social media platforms like Instagram and Twitter. Another company Image Protect Inc.(OTC Pink: IMTL), according to their white papers, plans on using blockchain for their 75 million images by steering away from the policing side, and turning each image into a monetizable advertisement. Image Protect’s main focus will be utilizing their IPShare™ technology. Statista estimates the Ad market will likely stand at more than $227 billion globally. This figure could increase by more than 46 percent to $332 billion in four years’ time. One thing most observers are pretty sure of is that the digital ad market will show no signs of saturation in the foreseeable future. Getty has a huge media archive estimated at 80 millionstill images and more than 50,000 hours of stock film footage. They needed a way to protect their images and prosecute against infringement. They formed their own company called Picscout. Most of the business comes from Getty but the company never got any traction because it’s not a true third party provider and in the competitive world of stock photography that is an essential ingredient. Stock photo companies value their pictures but value the metadata even more. Any stock photo company allowing Getty’s subsidiary to troll for infringement violations could see their “hot” photos that are generating revenue turn “cold” if Getty were to recreate them. KODAK’s blockchain-based image rights management system, named KODAKOne will work like this: Photographers will be able to register their work and license it through the platform, taking advantage of the security and fast transaction speeds that the blockchain can provide. Payment happens via – you guessed it – a new cryptocurrency called KODAKCoin. Kodak says the KODAKOne system will also have a way of detecting unauthorized image use and resolving post-use licensing issues via the blockchain. Images registered to KODAKOne, we believe currently only 10 million or so, will be immutably tied to their creators, though, so if nothing else the system will make it easy for photographers and illustrators to prove they’re the owners of their content if any disputes arise. COPYTRACKis another exciting blockchain-based copyright enforcement service provider, using its “Global Decentralized Copyright Registry” (funded by an initial coin offering, or ICO) for copyright owners. What sets COPYTRACK apart is that it is not limited to just photographs, but any type of digital content (music files, anybody?). Further, COPYTRACK polices on a commission basis — its platform can be used by photographers to police unauthorized uses of their images and then have COPYTRACK resolve the infringement with the infringing owner by coordinating payment of an owner-preset license fee (COPYTRACK keeping 30% of such fees paid by the infringing users, or 50% where such cases go to court outside of Germany). With an enforcement process in over 140 countries, COPYTRACK is positioning itself to provide a truly global solution using public blockchain as its foundation. Of all the companies in the copyright infringement space, we feel Kodak is in the best position to grow via mergers/acquisitions due to their highly recognizable name and already being a publicly traded entity on the NYSE. With a share price of over $5 and a market cap near $230M, the company has the ability to “well-round” itself by offering stock rather than cash to smaller up-and-coming companies in the sector that may have great business models, but lack funding to get them to the next level. Kodak has a much easier means of raising much-needed capital where small public or private companies ultimately struggle. There are a few areas of importance where Kodak needs to take a hard look at themselves. First, do they have enough images to protect? With a database of approximately 10 million images, where much smaller companies like Image Protect already have 75 million, not to mention Getty Imagesand Shutterstockit appears their total available market is quite limited. 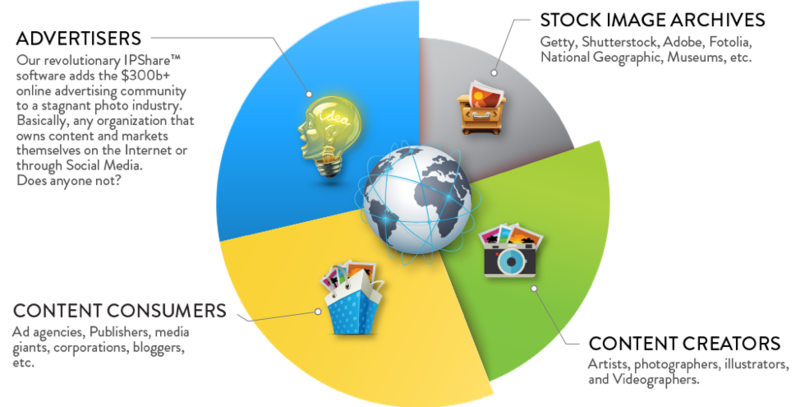 This is where acquiring IMTL makes a lot of sensegive their experienced in the marketplace and much deeper image portfolio. With a market capitalization under $3.0 million it’s a steal given the overlap in the business model. The KODAKCoin ICOis scheduled to kick off May 21, 2018. It is supposed to be the first Securities and Exchange Commission (SEC) compliant ICO that went through the registration requirements and would therefore be considered a security token. Cointopia is planning on hosting the ICO with Pickwick Capital Partners and Exemplar Capital as the registered broker deals. Under the terms of the deal with WENN Digital KODK should receive 3.0 million KODAKCoin tokens as well as undisclosed royalties. KODAKOne cannot store high resolution images in the blockchain – that would take up far too much data and degrade performance. Instead, KODAKOnewill store a hash of the image in the blockchain, which means that the web portal would need a separate system to store the actual image (i.e., the thumbnail). There is no clear solution on how to deal with images of different resolutions and keep the speed of the network intact. Imagine a scenario where an image is slightly altered with a tweak to the resolution or contrast – that small change would result in a completely different hash. The Blockchain doesn’t “know” the altered image is really the same as the first but with an imperceptible difference. Someone can therefore take an image, alter it, and register/upload it as their own. The unscrupulous can obtain a photo from a Flickr account or from one’s own Shutterstock license, register those in the blockchain as one’s own, and expect payment. In this scenario, the immutability of a blockchain becomes a problem because there’s no way to correct infringement or reverse a payment to the appropriate party. In this situation the blockchain is actually assisting in the infringement which defrauds the content creator. It offers no protection and is a serious issue that needs a solution. Infringement cases are basically a numbers game. New emerging technology can now take an infringers image and converts it into an advertisement. This image space may transform into a land grab for images under management so it’s key for investors to watch developments at IMTL. A successful ICO and rollout of the KODAKCoin could be a boom to KODK shareholders and the cryptocurrency market as a whole as KODK paves the way for other security tokens. Investors should stay tuned to the Consensus 2018blockchain show for any recent announcements regarding KODK or IMTL starting May 14 – 16th. KODK will have 3 million coins so if the ICO is successful and the price spikes the stock price of KODK could follow suit. In January 2018, the blockchain announcement deal with WENN buoyed the stock only to fall back to where it started once the hype died down. There is a serious execution risk with the KODAKOne platform in terms of adoption but if their ICO is successful and the company makes the right acquisitions it’s conceivable that KODK will reinvent themselves as a legitimate licensing play. 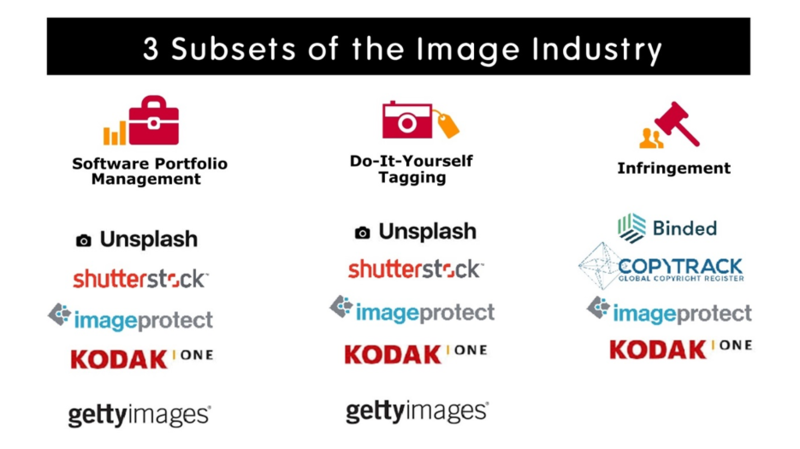 Acquisitions are the key to KODAKOne because they are deficient in many areas but luckily there are many ideal acquisition targets outlined in the article. KODK’s core business is stable but faces continuous pressure and offers investors nothing tangible to look forward to. The only truly bright spot is their brand licensing strategy with the KODAKCoin offering.